It can convert the PDF file into PDF/A format. Can compress and reduce the size of PDF files. It is capable of extracting the images from the PDF file. It can extract the text from the file. It can work with multiple PDF files at the same time. This tool enables you to perform various tasks on PDF file for managing it in a much better way. It provides multiple options such as convert and compress PDF. It also provides an additional option to extract images or text from the PDF file if required. Users can easily add multiple PDF files by adding the folder containing those files. So this tool helps to mange PDF file in just a few clicks. PDF/A is a standardized version of PDF specialized for electronic documents & digital conversions. It has following advantages such as full text search, file size, optimization, etc. 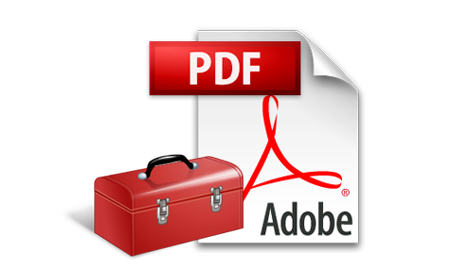 This toolbox enables to convert multiple PDF files into PDF/A format at the same time. PDF/A format is very useful as it is supported by every version of adobe acrobat reader. If a user has a large PDF file, then this tool can compress the file by compressing its text. And if he further wants to reduce the size, then he can also compress his images embedded within the PDF file. This is the advanced option provided by the tool. And some options are also provided with compress image option. People with better knowledge of image compression can apply those according to the requirement. It will extract the images from the selected PDF file/files. On selecting the extract images option, it will further provide some advance option such as the size of the image, (if required to change). And it will also provide the option to choose whether to extract all images or only the visible ones in the PDF file. So all these embedded options enhance the functionality of the toolbox and helps user to manage their PDF files in a better way. Another task, it can perform is it can extract text. It will extract the whole text from your selected file and will save at the particular location browsed by the user. It will also save it as a .txt file which can easily be open in MS Word and can be edited. It further contains some options such as text options and page options. User can use the following option according to the need and can save the file. The tool is embedded with the advanced options for each and every basic option. For compress PDF it includes options like compress image, and the other page options. Then for the extraction of image and text it further contains options like extract text option and extract image option and page option. These options further includes some settings that need to be changed if the user if aware about its significance. The software can be used by both technical and non technical users. It is very easy to implement. First install it on your system and just follow the steps that are explained below on this page. The advanced settings must only be changed by the users who are aware of their functionality. Otherwise, use them as default and proceed with the basic settings in order to avoid any kind of mistake. With each and every function you perform, it generates a report specifying the necessary details that vary according to the option selected. Like it will show you the basic settings, advanced settings and then the destination folder. Basic settings include no. of files and the option selected. Step 2:Compress PDF option: To compress PDF, user requires to select the "Compress" option mentioned at the top. Step 3:Convert PDF to PDF/A option: If the user wants to convert his file, then he needs to select "Convert PDF" option. It will convert the whole PDF into standard PDF/A format. 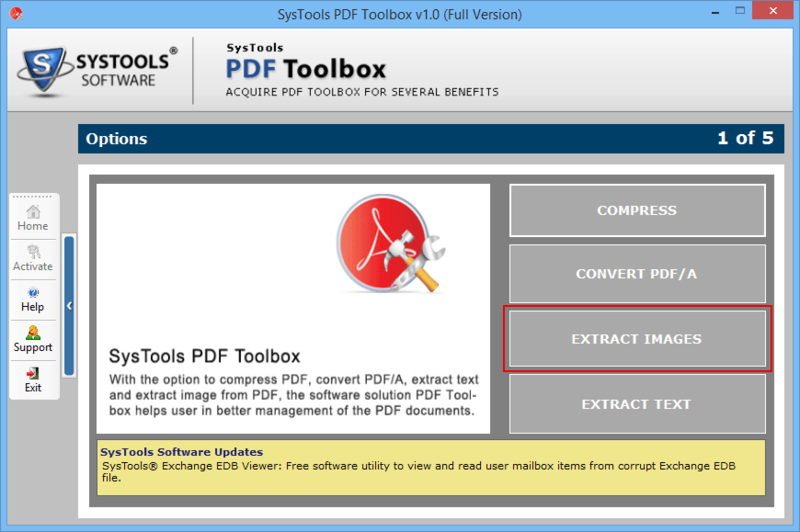 Step 4:Extract Image option: To extract all images from PDF, click on the "Extract Image" button. Step 5:Extract Text option: To extract only the text out of the whole PDF file or document, select the "Extract Text" button. I wanted to manage my PDF files that were lying in separate folders. But since they were now have grown much in their sizes and some of them were old that do not support the new versions of adobe acrobat reader, so I was unable to manage them together. Then I searched for the tool and found PDF toolbox. It proved to be very helpful as it solved each and every problem of mine. I was searching for a tool that can perform multiple options like compressing the file, extracting the text in the separate document and also images in a separate file. And then I came across with PDF toolbox. It provides large no. of options and worked very well with no error. Thanks to the software as I was able to compress large no. of PDF files and can exchange them easily.